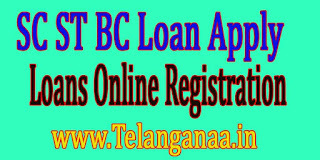 AP BC Welfare Loans Online registration AP SC Welfare Loans Online registration AP ST Welfare Loans Online registration at official website apobmms.cgg.gov.in .APOBMMS online portal is open apobmms.cgg.gov.in AP Kapu Welfare loans online registration. BC Minority Protection Loan Online Apllication. Eligible candidates 24 hours declarations are accepted. Each candidate must Apply Indusial have ration card, bank account. If you include BC then BC Federation click or SC then SC Federation and then clicking ST ST Federation registration. Select Preview for rechecking. If changes require fast. Select Send to review.Your Application & Bank Credit Registration status can be checked again.